SMARTnership™: Don’t Come Out Swinging! Think back to your last negotiation. Maybe it was high-powered corporate merger; maybe you were simply negotiating for the price of a shipment with one of your suppliers. Perhaps it was even a personal matter – haggling over the price of a new car, or agreeing to terms with a contractor to work on your house. Now think about the attitude that both parties brought to the negotiation. Did you approach it as partners working toward a common goal? Or were you more like adversaries in a competition? If you’re like most negotiators, it was much closer to the latter. 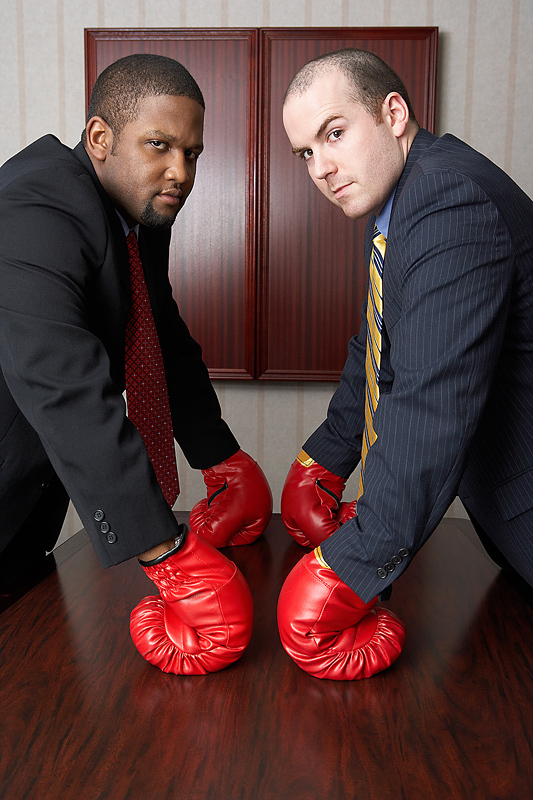 Today’s negotiations often take the form of a boxing match, with both parties interested in only one thing: winning. If that means beating the other guy to a bloody pulp, so be it; if that means taking a beating yourself, that’s fine too. All that matters is that you can say you won. But where does that leave you, when all is said and done? Bruised and battered, that’s where. Sure, you got your victory, whether on points or by knockout. But you’re still going to be sore for a while. Now, that’s fine if you’re a boxer – it’s part of the job description! Unfortunately, too many negotiators think that this kind of mutually-destructive approach is part of their job description as well. Nothing could be further from the truth. In the over twenty years I’ve spent helping people negotiate more effectively, I’ve learned a lot. I’ve learned how important it is to prepare thoroughly, to keep an open mind, and to approach the negotiation from a position of trust. The most important thing I’ve learned, though, is that negotiations should be viewed as a partnership, not as a fight. Now, when I say “partnership,” I don’t mean that both sides come away with equal shares – you’re still trying to get the most value for your side! But by taking a cooperative approach, you’ll be able to discover more value to share. Just as important, pursuing your negotiation in a cooperative and civil manner means that even the “losing” side will come away feeling satisfied by the result, which will create future opportunities for valuable partnerships. Both sides can “win” again and again, and nobody needs to get hurt! In future blog posts I will make the case for this cooperative approach, which I’ve termed “SMARTnership™.” I’ll also be sharing many of my other insights on negotiation, using real-life anecdotes to explain and illustrate the concepts. I hope that it will be an educational and eye-opening experience, and I look forward to hearing your thoughts and feedback.